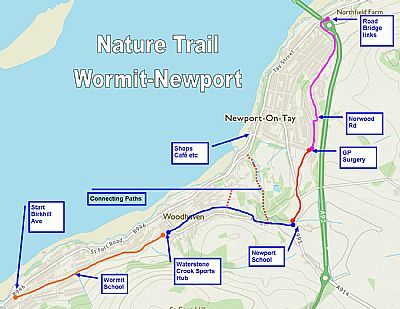 Aim: to gather views on possible improvements to the multi use 'Nature Trail' through Wormit and Newport. 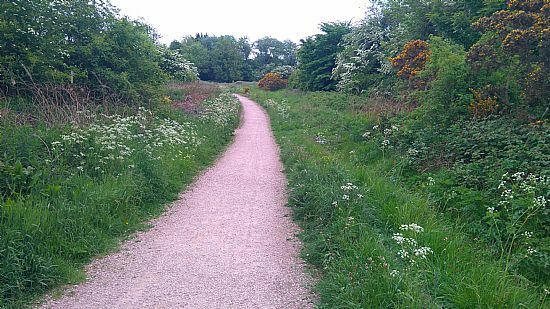 Nature Trail: The Nature Trail is a mainly off road 4km grit surface route used by walkers, runners and cyclists mainly based on the former railway line. It has two primary schools, a sports hub & a GP surgery along its route with connecting footpaths to the village centres. It has a natural location, panoramic views and is also within a short distance (<1km) of many people's homes. The route comprises a number of sections and has issues, e.g. steep step access at key points, a B road crossing point, and uses roads/side streets for parts of the route. 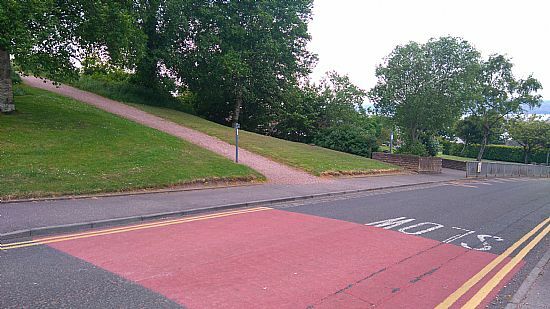 It has connections to other shared use paths and commuting routes into Dundee. It has been developed and maintained by Fife Council with the involvement of the community council and others. Project: North Fife Cycling group was invited to be involved in this Fife Roads & Transport/ Sustrans feasibility study to give a local community perspective. Supported by Newport, Wormit and Forgan Community Council NFC have carried out an online survey to report back to the Council /Sustrans / NWFCC and the survey reports are available on www.cycle-north-fife.net. The feasibility study is funded by Cycling Scotland. Survey: An online survey was created to provide a Full Survey (25 questions) and also a Quick survey option (5 questions). A paper version of the Quick survey was made available at a local community cafe. The survey was widely advertised with posters on Trail and in shops, online advertising and a wide networking email cascade by a variety of groups and people including parents at both schools. The survey was open for 4 weeks. 259 replies were received (211 Full, 46 Quick only and 2 paper surveys). With 5 core questions in common, the quick survey was combined with the full survey. A full report is available and all the detailed comments received in the survey will be passed onto the Fife Council feasibility study staff. Respondents: 259 people replied. Of these, 47% replied for their family group so the effective sample is larger. The relative size of Newport/Wormit is reflected in the proportion of respondents from each village. People used both the whole route and sections of it. Parents - 24% used prams/buggies at times often with younger children or as part of the 'school run' (11%). Many respondents use the trail for health and leisure (42%), accessing local shops and amenities (25%) and for work commuting (3%). Respondents used the trail in a variety of ways - walking 31% running 28% cycling 22% dog walking 13% scooters/skateboards 5%. With many steep access points etc. trail use by people describing themselves as having mobility/sight problems was low (3%) with only 1 wheelchair user. Few cyclists used the trail exclusively for cycling (7% of cyclists); most combined cycling with other ways of using the trail. 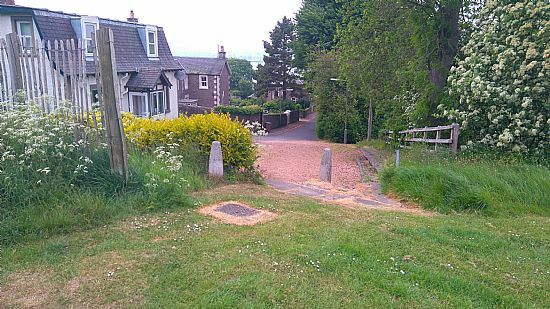 maintain and improve the natural heritage; replace steps with ramps and reduce access gradients; improve access generally and for prams; some minor surface/drainage improvements (not full tarmac); lighting; reduce dog fouling; improve for cycling generally. Concerns about shared use / cyclists’ speed were also expressed. Specific areas: generally these areas were similar to the comments for the whole trail. There were higher levels of concern around road crossings near schools and having to use streets in parts. Access and connections: people commented on the specific access points covered already and there were not many comments about getting to the trail from home. However, many comments were made about the need to connect the trail to other local paths and amenities as well as the wider area. General comments: general comments received reflected the broad categories of concerns and improvements wanted from the earlier specific questions. A wide range of views were expressed in this community survey. Many people appreciated being consulted and would like to see the Nature Trail being made more accessible for others. There was a widespread concern about: protecting and enhancing the natural environment of the trail and providing a safe place for children and adults to enjoy the open spaces, panoramic views and exercise for health as well as active travel. Improvement of the directional and heritage/nature information signs would be welcome. There were concerns about over development and urbanisation, dog fouling, and the potential for some cyclists to spoil this shared use corridor if it were made more “wheeled vehicle friendly”. Many wanted to see this area being accessible and enjoyed by more people with better access for those with mobility issues including wheelchair users, families using buggies, and cyclists. Most thought minor improvements only were needed and while some cyclists, scooter/skateboarders and others wanted a tarmac surface most users are happy with the grit surface. Conclusion: Overall, a majority of people wished to see sensitive improvements around accessing the Trail by replacing steps with ramps (helping less mobile people especially) and improving road crossing points (especially by schools). Protecting the natural and historic heritage is very important. 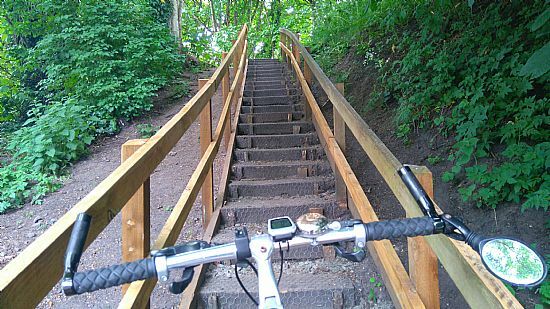 The Trail is mainly used as a shared resource of all ages by the local community for trips within Wormit/Newport: there is a smaller group of commuters and visitors using it. This survey can be used to identify key points that can be improved and connections to increase active travel to schools, access to local shops and amenities with intrinsic health gains. Improving access through engineering solutions needs to be balanced with behavioural management to promote positive community use, reduce current, and possible future, shared use issues from walkers, runners, cyclists, dog walkers, skateboarders etc. Tony Turvey North Fife Cycling chairperson 14th March 2019. 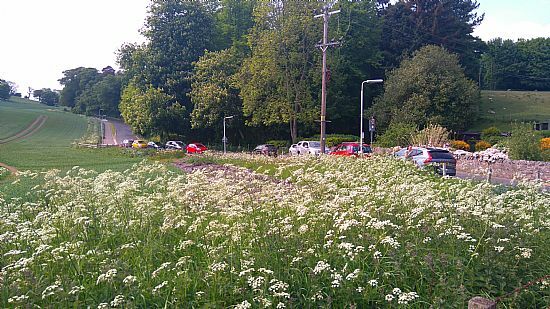 Fife Council Transport officers with Sustrans are carrying out a feasibility study to look at how this Trail may be improved as an active travel route and safer route to local schools. North Fife Cycling are carrying out this survey to gather views in the community with the support of Newport, Wormit and Forgan Community Council. After the survey closes NFC will prepare a summary report to pass on to the Community Council, Councillors, Sustrans and Fife Council Transport officers. This report will also be posted here and on our Facebook page Cycle North Fife as well as being shared by others. Below is a map of the Trail off road route, its connections to Newport amenities and onto the Tay Road Bridge. A selection of photo's from along the Trail are included here to show some of the current points that make it difficult for many people to use - steps, steep slopes etc can be a difficulty to parents with buggies or young children, people with mobility problems and cyclists.